Optavia is a health program that will change your life. We offer nutritional solutions for people of all ages and stages of life, including nursing mothers! Hi, I’m Dorena. I am a certified health coach for Optavia, a health program designed to transform your life one healthy habit at a time. Developed by Dr. Anderson, Optavia instills in you the knowledge, skills, and tools you need to reach your optimal weight loss and make it last. It is not a diet, but a health plan to last a lifetime. I’m a mother of four boys and a grandmother of eight. At this stage of my life, I never expected to return to the level of fitness and weight that I have thanks to Optavia. I lost 55 pounds in six months and was so impressed by how Optavia changed my life that I became a health coach. To date, I have helped over 190 clients achieve the goals and I want to do the same for you. Optavia offers a variety of programs to suit every style, and moms may be particularly interested in our nursing mothers option. If your baby is at least two months old, Optavia offers a balanced plan that encourages gradual weight loss while supporting your nutritional needs. As your child begins to wean, you can transition to our 5-1 plan for more rapid weight loss. 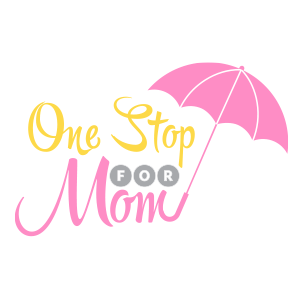 Nursing moms will benefit from personalized support from me as your health coach and from fellow moms in our nursing moms Facebook group community. You are not alone in your journey to optimal health! I am also here to help moms who are not nursing but are eager to reach their health goals as well. Together, we will find the right program for you. In addition to options geared towards moms, we offer programs for seniors, teens, diabetics, gout sufferers, and those requiring gluten free solutions. My clients report success in losing weight, but more importantly, improved energy, activity and mood. Many see relief from medical conditions and symptoms associated with PCOS, diabetes, high blood pressure, and cholesterol. All report an improved quality of life and a renewed self confidence. I look forward to you discovering the same results – please reach out and I will provide you with the information you need to begin your journey.